Well I’m completely miserable over the 0-3 start on my picks. I was on a heater before I start posting my picks on the internet so anyone who has participated in the unforgiving sportsbetting world knows a cold streak is inevitable and it legitimately feels impossible to pick a winner. So here is my pick to turn to the tides (God willing). I am taking the Colorado Rockies (+110) against the San Diego Padres. The Rockies power bats see the ball well off of Padres’ SP Andrew Cashner; with Nolan Arenado, Charlie Blackmon, and DJ Lemahieu going a combined 17-47 for a .361 clip. 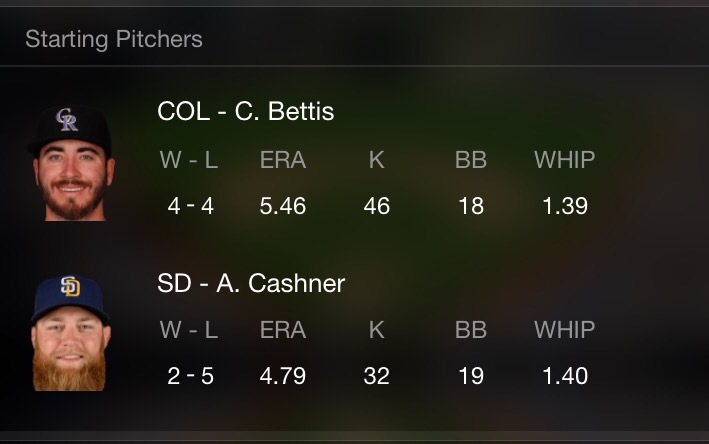 Bettis has struggled as of late but has thrown well against San Diego in the past. I am looking for Colorado to put up a decent number of runs tonight which would be nice considering I’ve gotten just one single run of support from my first four picks (two of them being in a parlay). I am also taking the Pittsburgh Pirates (-110) at home to tie the series with the visiting Los Angeles Angels. 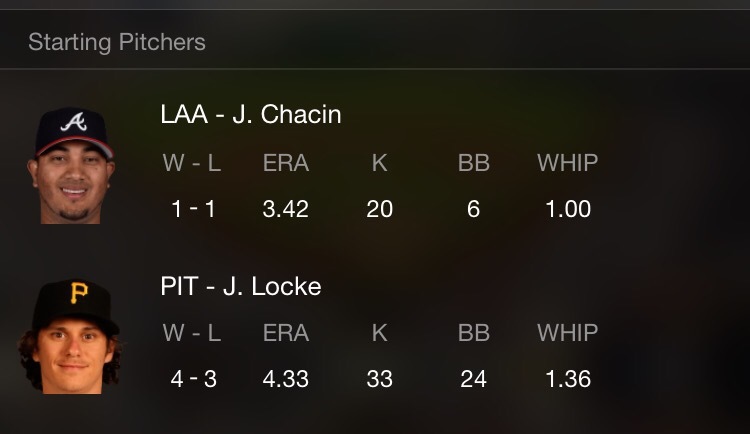 Locke had a stellar outing in his last start, pitching to contact and I think Pittsburgh is going to come out with fire in their bellies after a bit of a rough patch. Pittsburgh is a tough gritty team just like their city. I look for Andrew McCutchen, Starling Marte & Co., to take the second game of the series and even it at one win a piece.